Mental illness is an extremely stigmatized issue in society, and those who, in plain terms, see and experience things that are not there are usually looked down upon or dismissed as crazy for their inability to perceive the world as others do. Social workers and mental health professionals, however, are not as quick to dismiss how they view the world as illegitimate, though figuring out the proper way to provide support can be a challenge. Conversations about what is and is not real can include moments of levity and humor, as expressed and portrayed in the decidedly odd “Aardvark,” from first-time director Brian Shoaf. Emily (Jenny Slate) is a licensed social worker – she frequently points out that she is not a doctor – who meets an interesting new patient, Josh (Zachary Quinto). Josh has received many diagnoses and been prescribed numerous medications over the course of his adult life, none of which have helped him to come out of his shell and interact with people in a way that might be deemed normal. His larger-than-life actor brother Craig sends him money regularly, but since he has not visited in over a decade, Josh frequently believes that random people he meets are actually elaborate characters that Craig has constructed and assumed. 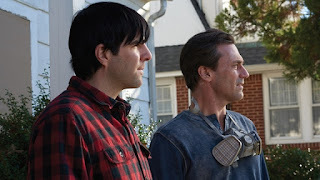 When Craig (Jon Hamm) actually comes to town and begins a relationship with Emily, the line between what’s real and what’s right becomes increasingly blurred. Slate is a wonderful young comedienne who has successfully taken on recurring TV roles on “House of Lies” and “Parks and Recreation,” and turned in breakout performances in Sundance hits “Obvious Child” and “Landline.” At the start, Emily seems to be an atypical character for her since she is in fact successful in her professional life and lacks the childish antics that the other people she has played possess. Yet as the film progresses it becomes clear that Slate is just the right actress for this part, a seemingly put-together woman who doesn’t actually know where she’s head. Quinto, who has done well in film after establishing himself on TV with “Heroes,” infuses passion and frustrated energy into Josh, whose interactions with a mysterious young woman (Sheila Vand) represent some of the most compelling moments of the film. Hamm is playing the same role he’s played in drama since finishing “Mad Men,” contributing ably but unspectacularly. 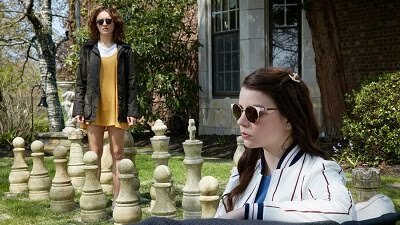 While there’s plenty of intrigue to be found in this film, the way in which it refuses to truly differentiate between what’s real and what’s imaginary, perhaps in solidarity with its lead characters, proves more frustrating than fulfilling.